Mansion homes stood for a long time along the Peachtree Road area of the neighborhood, but in their places, now along the busy road, are condos and apartments. Elsewhere in the neighborhood, single family homes are lined up in close rows with woods all around. In the northwest corner is the nearly 80-year-old Cathedral of Christ the King. If you are considering moving to the area, you will be choosing a very well-kept community. The park around Duck Pond is consistently maintained by means of membership dues, along with community fundraising events. In the 2000s, the pond was completely revamped, and a number of bridges and landscaping aspects have since been added to it. Peachtree Heights East is an affluent community, with the household income averaging $121,050. Only 16 percent of the population is made up of children. Residents are also highly educated, with 36 percent holding master’s degrees or higher, 44 percent holding bachelor’s degrees and only 2 percent of the population achieving less than a high school diploma. Homes for sale in the area start between $500,000 and $600,000. An overwhelming majority of residents own their own homes (85 percent), but those who option for rentals in the form of a condo or apartments in the area pay $1,719 per month, on average. 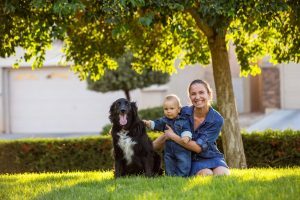 Houses in the neighborhood are fairly close together, and do not typically have large yards, an appealing option for many families who do not want to spend as much time and effort maintaining their landscaping. The most common style of home is the cottage, although several condo towers exist along the busier Peachtree Road. Another Broken Egg Cafe, for breakfast or brunch. Whitehall Tavern, for sports-watching and American grill food. Maki Fresh, for Asian food. Pasta Vino, for an alternative to Italian eats. Treehouse Restaurant and Pub, for great outdoor seating. Fellini’s Pizza, for a change in direction, as all the others listed above are south of the neighborhood, while Fellini’s is north. Also to the north of Peachtree Heights East are two shopping centers. The Peach Shopping Center includes the Brickell Women’s Clothing Boutique, while The Shops at Buckhead holds the Bella Bag consignment store, Jimmy Choo, Joie and diptyque, a fragrance and body care store. The Peach Shopping Center is a 20-minute walk from the heart of the neighborhood, and both shopping areas are less than 1.5 miles away. The main attraction of the neighborhood is, of course, Duck Pond and the surrounding park. Owned by the neighborhood, Duck Pond Park is an ideal location to host parties, take classes and attend events. However, you must rent space ahead of time with Peachtree Heights East. The park is nearly 8 acres, with many different areas suited for different purposes. For example, there are nature spots deep in the park for walks and contemplation, and there are also more spacious, open areas for games and parties. As long as you rent the space, you are free to hire anyone you want for an event. The Ladies of the Lake (LOL) Garden Club is a neighborhood group that puts on a number of events, and aims to make new residents feel welcome. Each year, the club holds a fundraising event that draws visitors from all over Buckhead. You can easily get to downtown Atlanta via public transportation from the neighborhood, as well. There is a MARTA station at the nearby intersection of Lindbergh Drive and Piedmont Road, and buses run all along the busy Peachtree Road on the west side of the neighborhood. If safety is a major priority in your next neighborhood, this area will score well with you. Peachtree Heights East is the 19th-safest neighborhood in Atlanta (out of 167). Security hired by the Peachtree Heights East Neighborhood Association help keep residents and visitors safe. In the past year, the small neighborhood had no violent crimes reported, and far fewer regular and motor vehicle thefts than most neighborhoods nationwide. Parents whose children attend public school typically send them to Garden Hills Elementary, Sutton Middle School and North Atlanta High School. All three schools are certified to offer the International Baccalaureate (IP) program, one of the most well-respected programs for preparing students for college.